There are 52 weekends in a year. 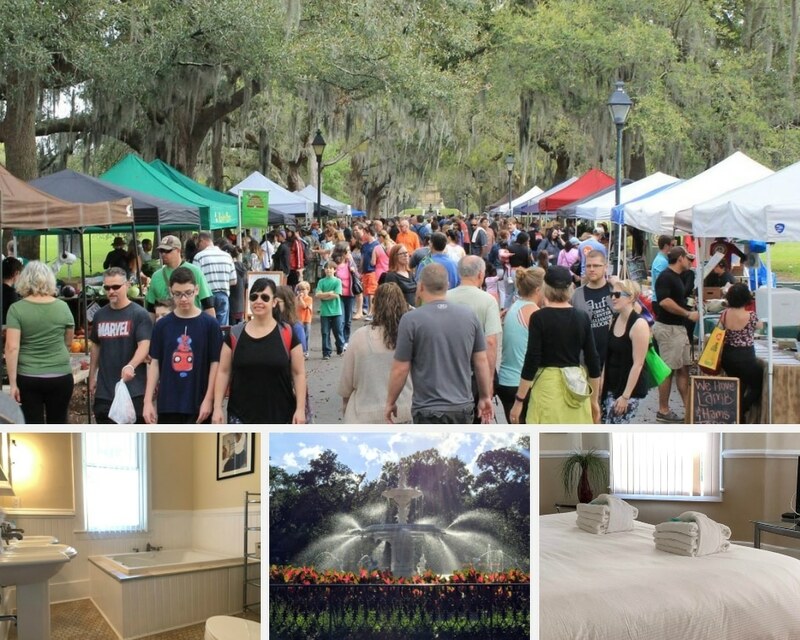 A weekend in Savannah is a great way get the most out of yours! History, parks, squares, shopping, nightlife: it’s all here, and it’s all around the E Waldburg House. 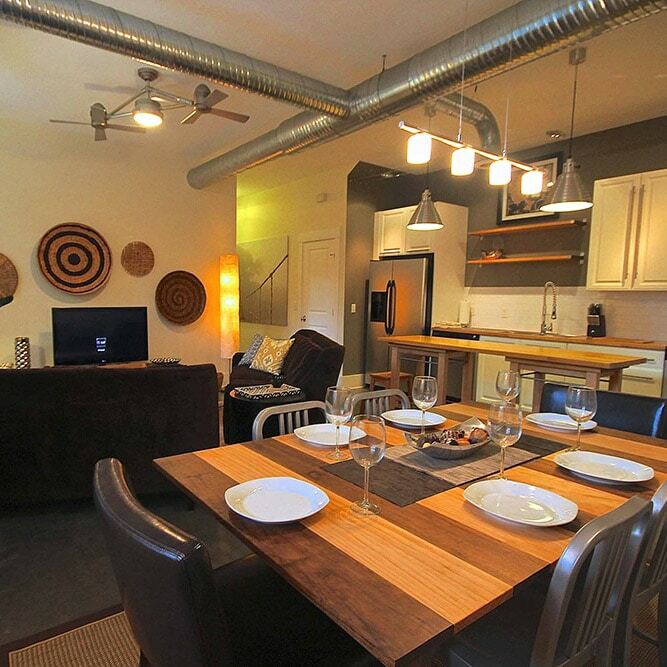 Savannah Dream Vacations gave us our pick for a recent Savannah getaway weekend, and we were delighted by the 506/508 E Waldburg Street vacation rental. We arrived Friday night, unloaded our bags, and parked in our private spaces at the rear of the property. The privacy fenced backyard is lush with grass and trees, with an elevated picnic table. Our group had the whole house, and we were excited to see a huge balcony way up in the trees for the upstairs floor (508), and a huge patio for the downstairs unit (506). We were delighted by visits from the occasional bird or two! The kitchens in both apartments are huge! Granite counter tops at the bar gave us the perfect place to hang out with a few drinks waiting on the giant pizza we ordered from Screamin’ Mimi’s down the street. The matching bar upstairs was a great place to catch up on work. If we were inclined to cook, the modern, brand-new appliances are perfect for making a feast of any size. This would be a great place for a family reunion or Thanksgiving in Savannah. The Kroger grocery store is a 4 minute walk, and after stocking up for our weekend in Savannah, we called an Uber to take us to River Street. 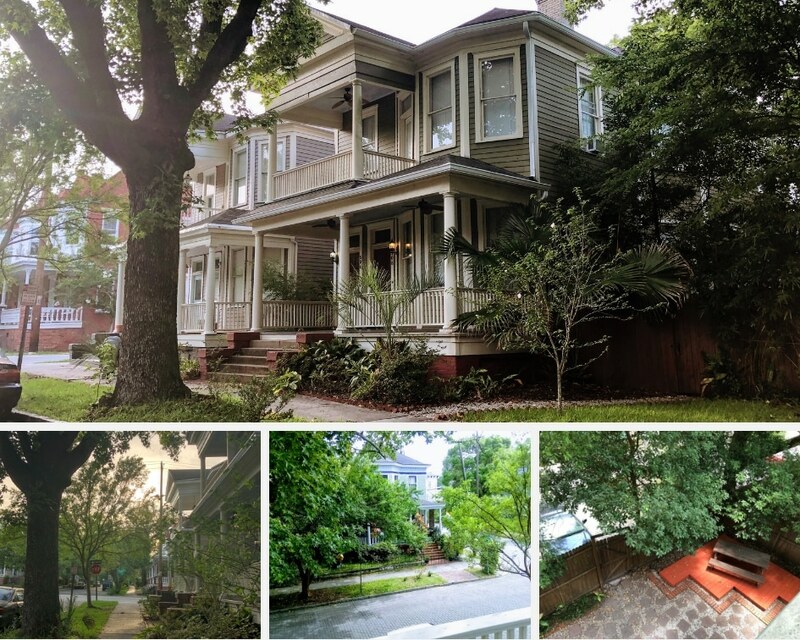 The East Waldburg House is super close to all the hustle and bustle of the Savannah Celebration District, but is nestled on a quiet, peaceful street. The location of the house is perfect! Our group loves Savannah, and wanted to try something new. We went to see a bluegrass band at Service Brewing Company, another live band at a bar called the Rail Pub, and another live band at a great place called The Jinx, all in the same night! 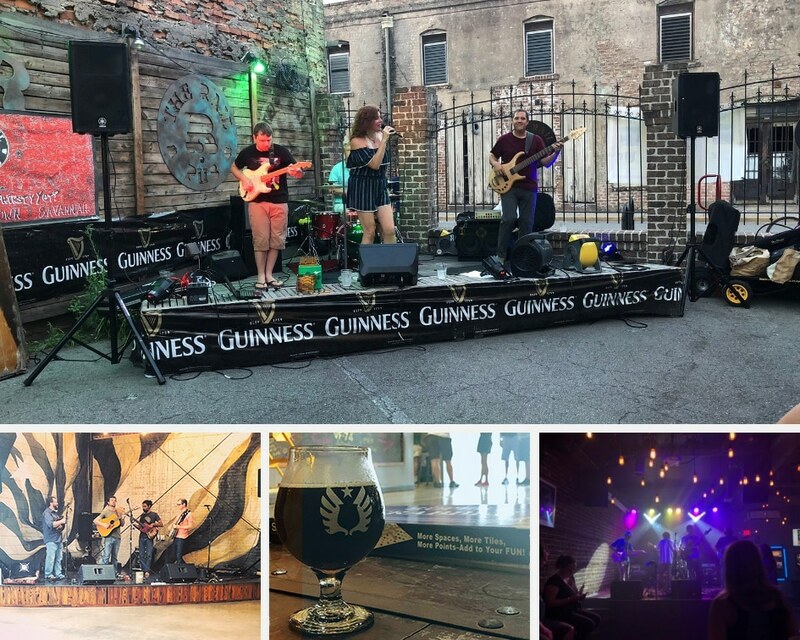 If you love live music, there’s always great choices on any given weekend in Savannah! We stopped to try a Chocolate Martini at Lulu’s Chocolate Bar, and called it a night. The E Waldburg vacation rental has 3 bedrooms upstairs, and 3 bedrooms downstairs. Each bedroom has a huge luxury bed and they were so comfortable after a long day. The bedroom on the front of the upstairs floor has a great balcony looking out on the peaceful neighborhood. It was great to sit up on the balcony, with the breeze from the ceiling fan, and reflect. 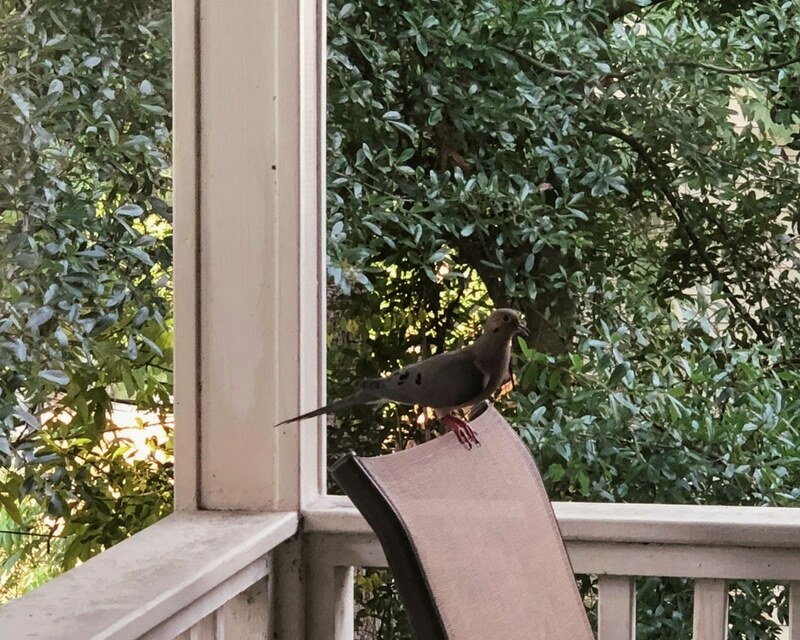 On Saturday, we lounged around the house for a bit, enjoying the indoor and outdoor living spaces, and ventured four blocks to Forsyth Park for the farmer’s market. The Forsyth Farmer’s Market is every Saturday Morning from 9am to 1pm. Afterwards, the jacuzzi tub was a great way to relax with a book, and a cup of coffee before our next adventure in our weekend in Savannah. We decided to drive to the beach. From the vacation rental to Tybee Island was about 25 minutes. 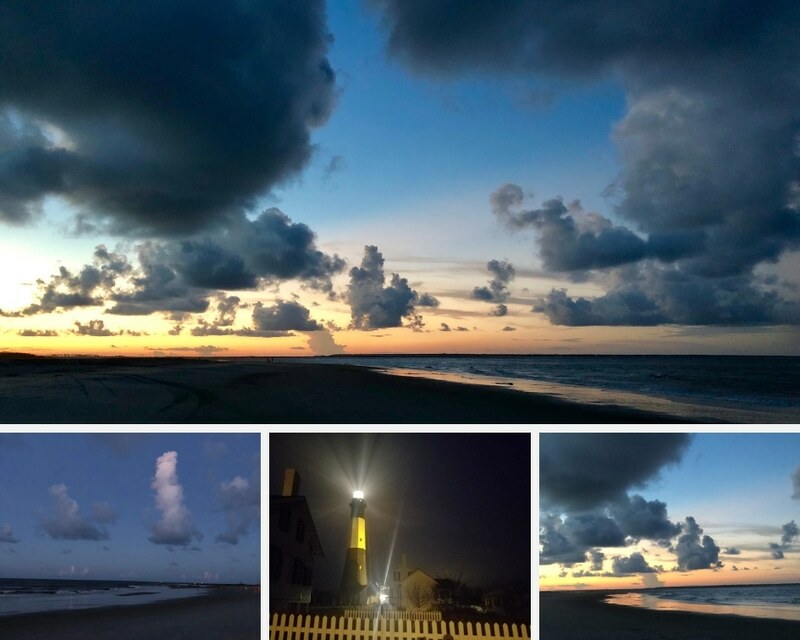 We went for a night walk on the north beach, over by the Tybee Island Lighthouse, which was lit up! Tybee’s North beach is apparently the location of sea turtle nests, which were being tended to by a local sea turtle rescue group. We didn’t see any sea turtles on the weekend we went to Savannah, but we did see dolphins, birds, and the sky at dusk was incredible. There are 52 weekends in a year. I know that the weekend in Savannah that I spent with my family at the East Waldburg House is one I’ll never forget. 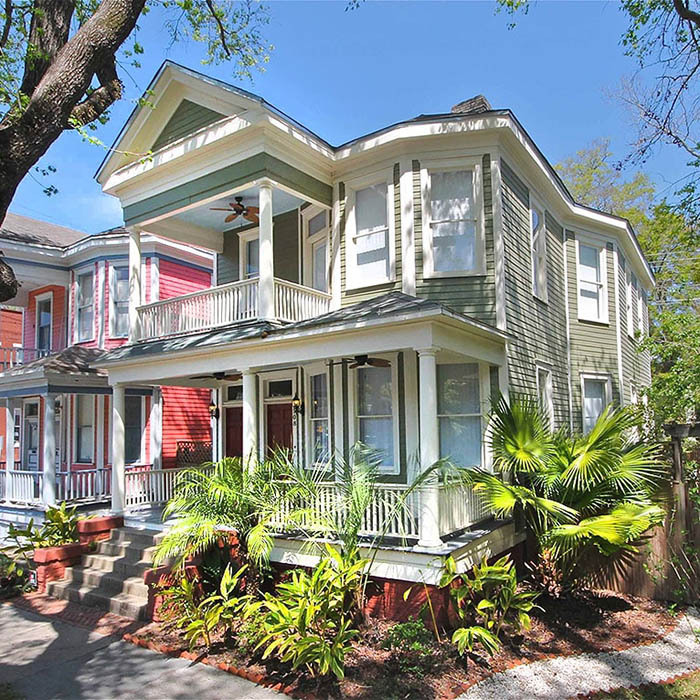 I’m so glad that Savannah Dream Vacations had this vacation rental available for my group. If you get the chance to come to Savannah and stay in the East Waldburg House, you should. You’ll be glad you did. See you in Savannah! 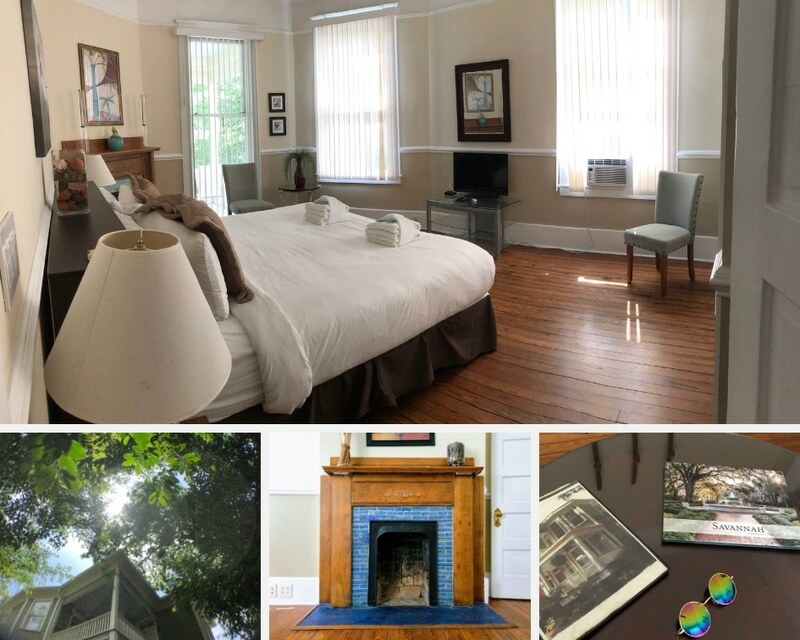 Circa 1900, built for Andreas Arnold, 506 E Waldburg is an elegant upper level ,3 bedroom, 3 bath Savannah vacation rental is located just 4 blocks from Forsyth Park in the Historic Downtown.